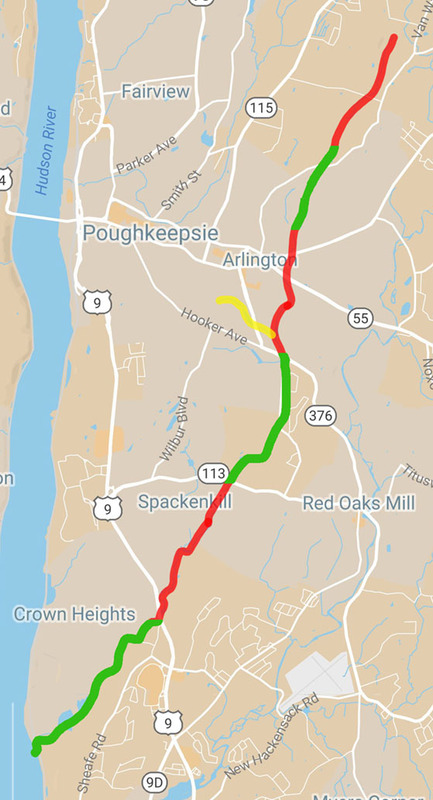 In support of the Environmental Studies focus on the Casparkill Watershed, we recorded a flight above the Casparkill Creek, from its source to its mouth in the Hudson River, a distance of about 10 miles. The course was covered by 6 separate flights, as shown below. We also flew a course over the Casparkill’s biggest tributary, the Fonteyn Kill. Prof. Joshua deLeeuw is teaching his cognitive science students about the mental processes outfielders use in order to move to the optimum position for catching a fly ball. He asked us to use the drone to capture this activity during a baseball practice session, so that he can create teaching materials for this lesson. We recently used the drone for a fun project: getting an aerial photo of a large sculpture project. 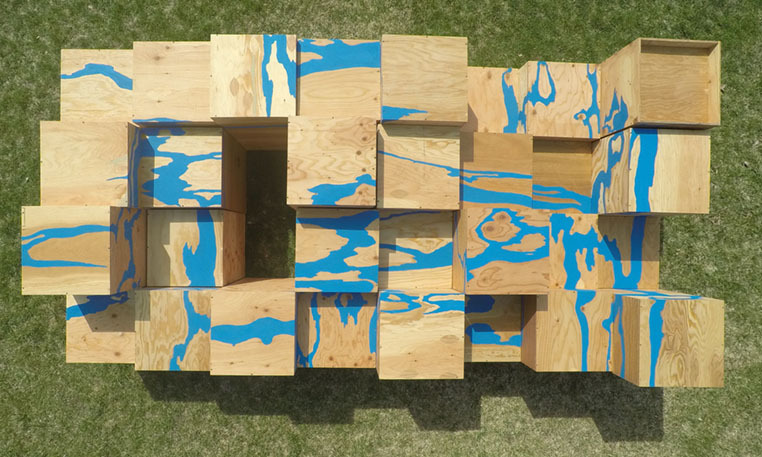 Sculpture student Antoine Robinson had created an interactive art project, comprised of 30 plywood boxes painted with a design. Passersby will be able to move the boxes around to “solve the puzzle,” or create their own arrangement. In December 2016, Environmental Studies major Rachel Marklyn asked us to produce an aerial view of the succession plots, on the environmental preserve. The succession plots are designated areas of a field that receive different treatments— mowing, tilling, and goat grazing— at different intervals, in order to study the long-range effect of those treatments on forest growth. 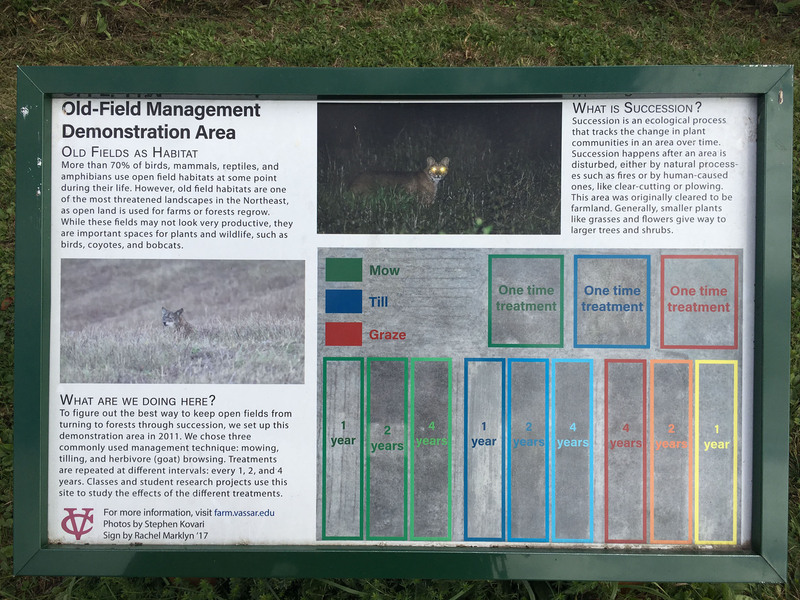 For Rachel’s senior project, she was creating a series of information signs for the preserve, one of which was about the succession plots. The wintertime photo was not very colorful, but the borders of the different plots were clear.